Making Futures is a social enterprise that improves health, wellbeing, self-esteem and employability through creative arts. Business support for creative enterprises. We provide mentoring, training and creative development to assist individuals who aspire to turn their creative talents into a viable career. Making Futures works in particular with people who face barriers to traditional employment, for example, due to illness, disability, caring responsibilities. There are many reasons why working a traditional ‘9 to 5’ is not ideal for everyone. At Making Futures we believe this shouldn’t preclude a fulfilling career that allows a person to develop their ideas and talents and reach their personal potential. Creative enterprises are ideally suited to flexible working. They can fit around variable and long-term health conditions, additional needs and the responsibilities of carers. Research has shown that working in a creative environment enhances wellbeing. Creative activity builds self-esteem and confidence. It is an excellent form of therapeutic self-expression. The creative industries are also a significant contributor to the economy, making them a valuable and potentially very successful career choice. However, venturing into self-employment can be scary. Do I have the right skills? How can I run a business? How do I price my goods or services? Do I need to register for tax and prepare accounts? These are just a few of the questions that face any new business but can be particularly daunting for anyone facing additional challenges. Making Futures works with individuals to address these challenges, giving them the confidence and skills to take their first steps into business. Support may take the form of business mentoring, signposting, helping new businesses find access to studio space and facilities, use of equipment. Creative development and training is also available. The ethos of Making Futures is to help people to fulfil their creative potential – ‘9 to 5’ is not the only option! 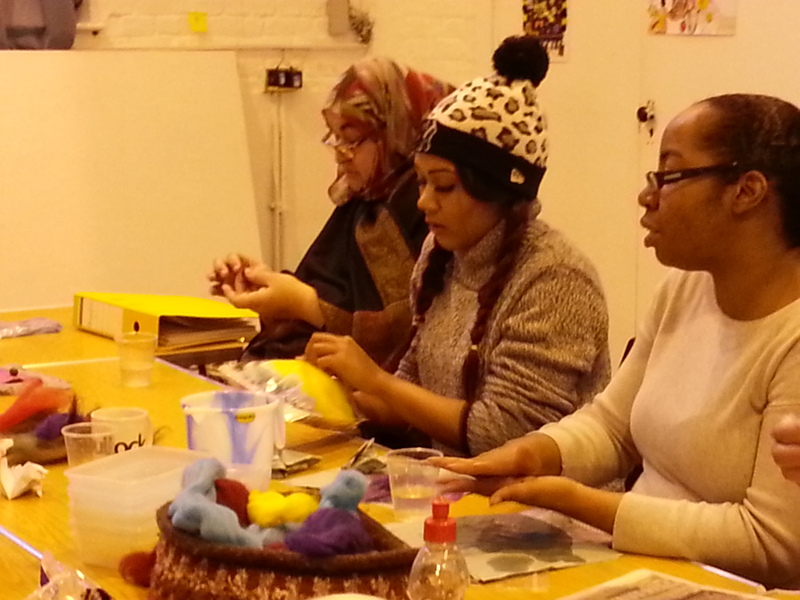 For more information on our tailored workshops and programmes, please email Debbie at makingfutures1@gmail.com.